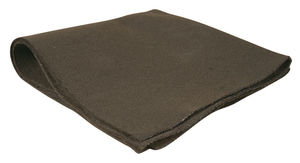 The pond underlayment has a non-slip surface and provides protection the liner from rocks and other sharp objects. The underlayment spreads easily and saves time. The 150 Sqaure Foot Pond Underlayment weighs 5.7lbs. The underlayment is also boxed for the customer’s convenience. Who is the 150 Sqaure Foot Aquascape Pond Underlayment for? The heavy duty geotextile underlayment is a soft, non-woven, geotextile made from polypropylene. The polypropylene helps have the underlayment last about twenty years under the liner. The underlayment has a non-slip surface and provides protection the liner from rocks and other sharp objects. The pond underlayment spreads easily and saves time. The heavy duty geotextile underlayment is made out of an extra thick fabric made from polypropylene. The underlayment helps protect and prevent tears in the liner while placing large rocks on top of it. 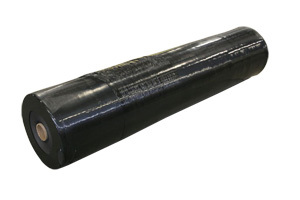 The underlayment provides more protection and is easier to use than folding regular underlayment. The heavy duty geotextile underlayment is a soft, non-woven, geotextile made from polypropylene. The polypropylene helps have the underlayment last about twenty years under the liner. The underlayment has a non-slip surface and provides protection the liner from rocks and other sharp objects. The underlayment spreads easily and saves time. The heavy duty geotextile underlayment is made out of an extra thick fabric made from polypropylene. The underlayment helps protect and prevent tears in the liner while placing large rocks on top of it. 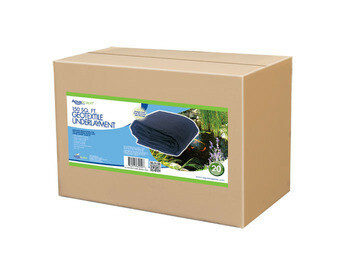 The pond underlayment provides more protection and is easier to use than folding regular underlayment.